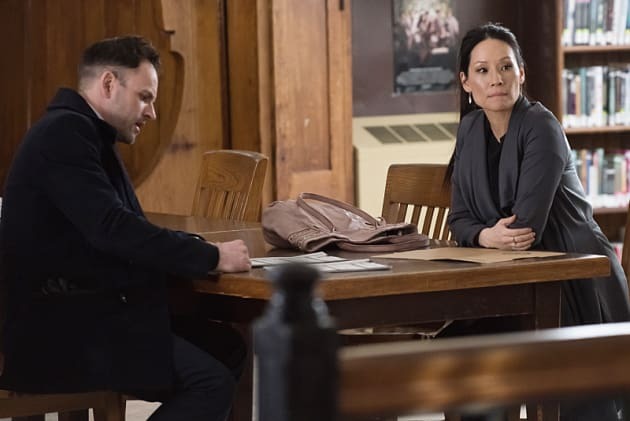 Holmes and Watson find themselves in the middle of an internet war on Elementary. "One Watson, One Holmes" is the 19th episode of the show's third season. 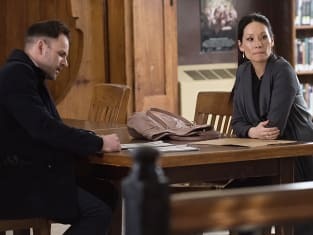 Elementary Season 3 Episode 19: "One Watson, One Holmes"
You're partisan hacks that twist facts until they cohere to a preexisting viewpoint. All while hiding behind the seemingly academic label "think tank". I despise you and your ilk on both sides of the aisle. Our relationship is predicated on one Holmes and one Watson. It's a delicate homeostasis. It doesn't function properly if there are two Holmeses and no Watsons. So while I am sensitive to this is likely a ripple effect from the tragedy, turning yourself into me in response is not good for our partnership.